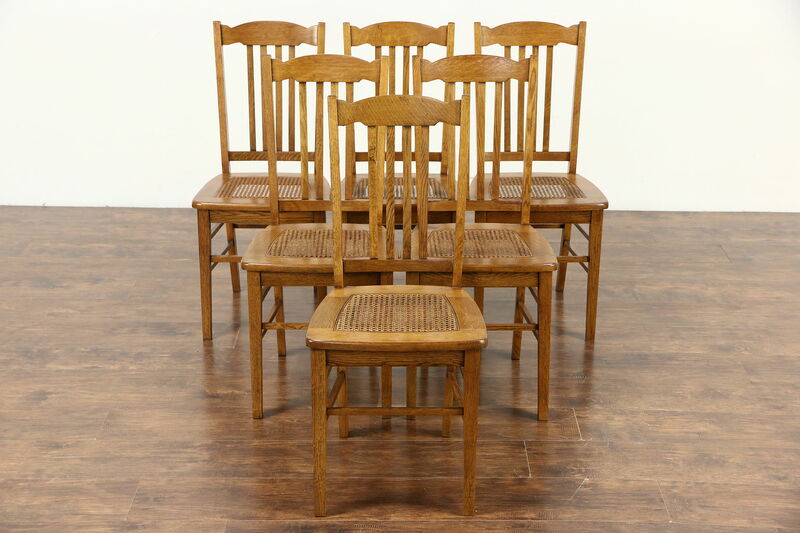 A set of six solid oak dining chairs from about 1915 have caned seats and show Arts and Crafts influence. Reglued to serve another generation, frames are tight and strong. The restored finish is in excellent condition on this American made antique furniture. Size is 17" wide, 21" deep, 36" tall and seats are 18" high and 16" deep. Please view 27 photos at full screen size for best detail. Related items in photos are sold separately.